On 10 October 2018, Ministers and the heads of the space community met in Bangkok for the Third Ministerial Conference on Space Applications for Sustainable Development in Asia and the Pacific. 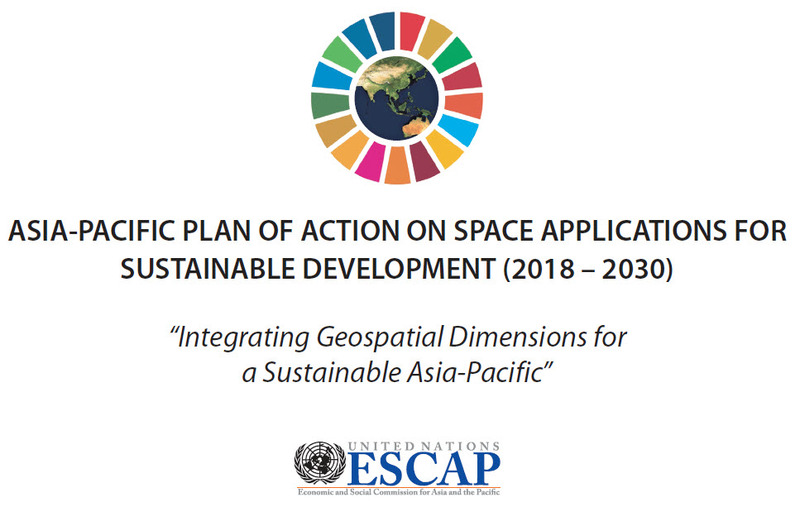 1) the Ministerial Declaration on Space Applications for Sustainable Development in Asia and the Pacific, and 2) the Asia-Pacific Plan of Action on Space Applications for Sustainable Development (2018 – 2030). The Plan of Action is a regionally- coordinated, inclusive and country-needs driven blueprint that harnesses space and geospatial applications, to achieve the 2030 Agenda for Sustainable Development. The Plan of Action is fully aligned with ESCAP’s Regional Roadmap for Implementing the 2030 Agenda for Sustainable Development in Asia and the Pacific. It maps the sectoral needs and resources at national and regional levels.